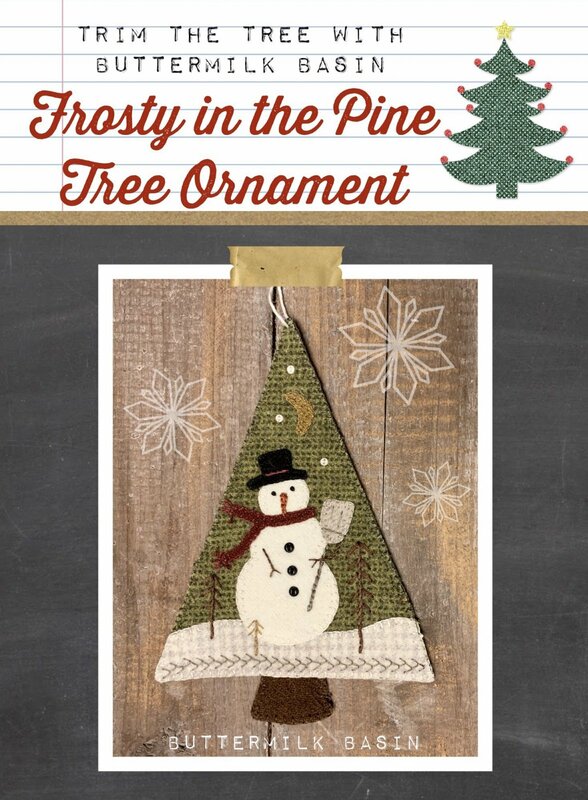 Frosty in the Pine Tree is a fun ornament to keep out all winter! The ornament is 6" x 8" and is wool applique. The kit includes the pattern, wool, buttons and twine. 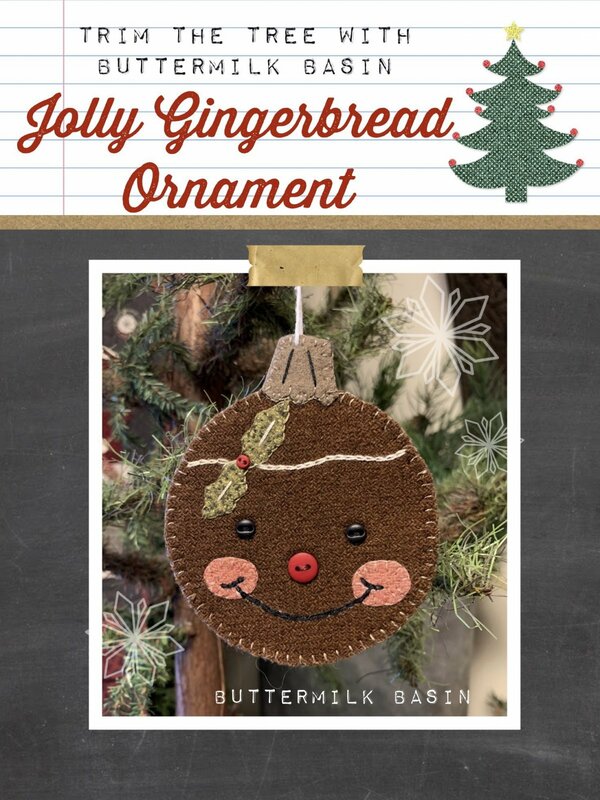 Trim your Christmas tree with this adorable gingerbread ornament! 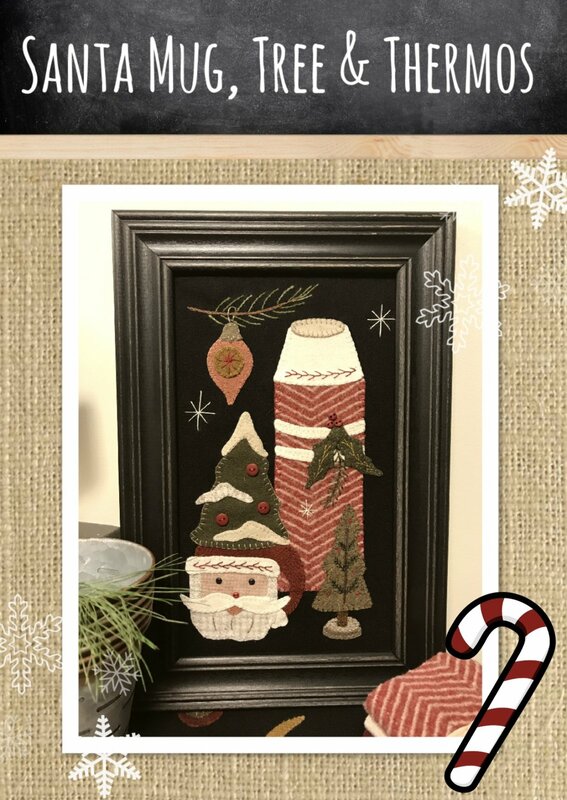 It is wool applique and the kit includes the pattern, wool, buttons and string! It measures 4" x 4.5". 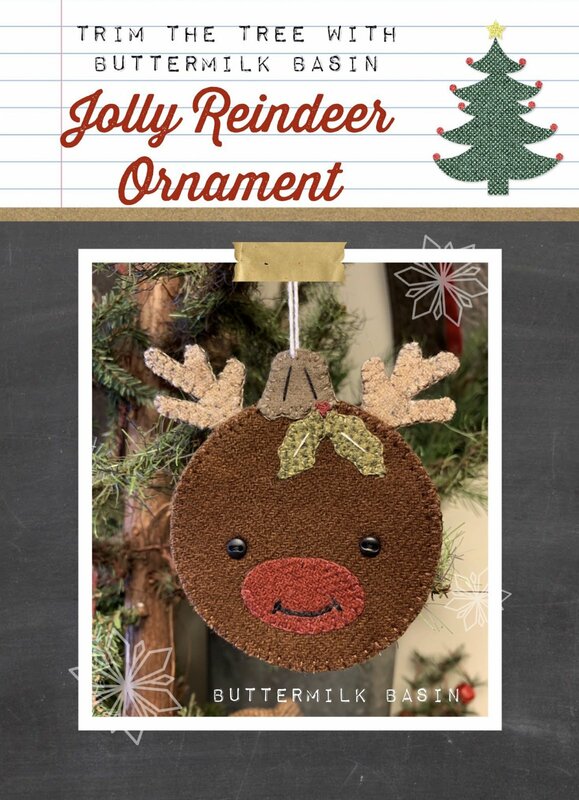 Trim your Christmas tree with this adorable reindeer ornament! 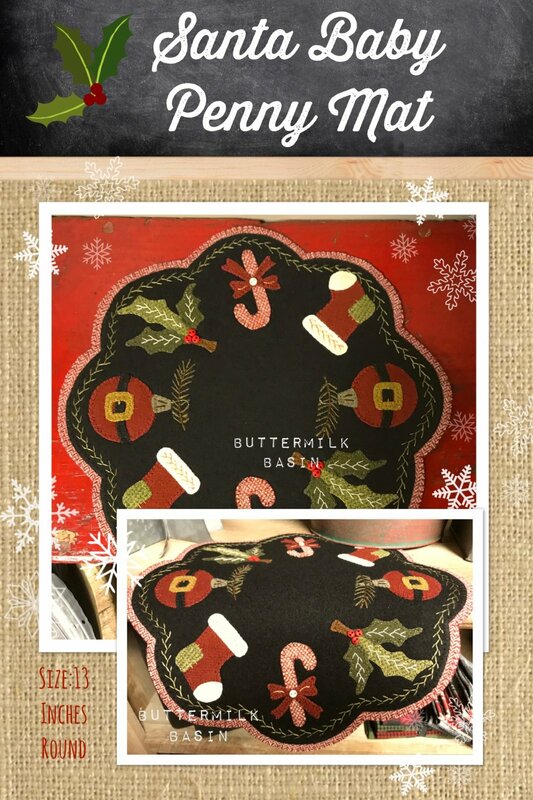 It is wool applique and the kit includes the pattern, wool, buttons and string! It measures 4" x 4.5". 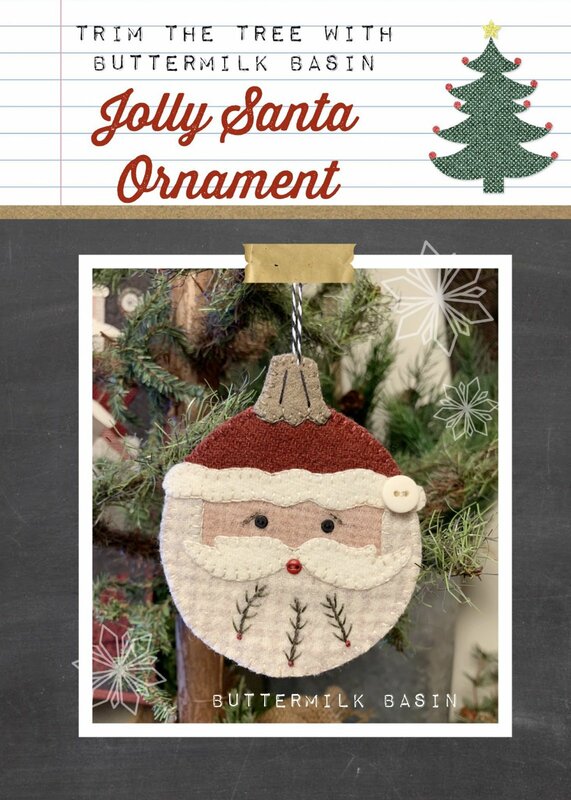 Trim your Christmas tree with this jolly Santa ornament! 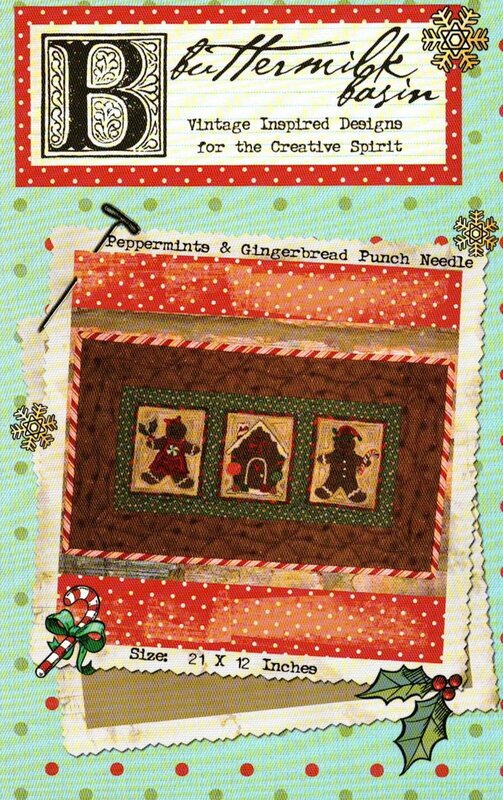 It is wool applique and the kit includes the pattern, wool, buttons and string! It measures 4" x 4.5". 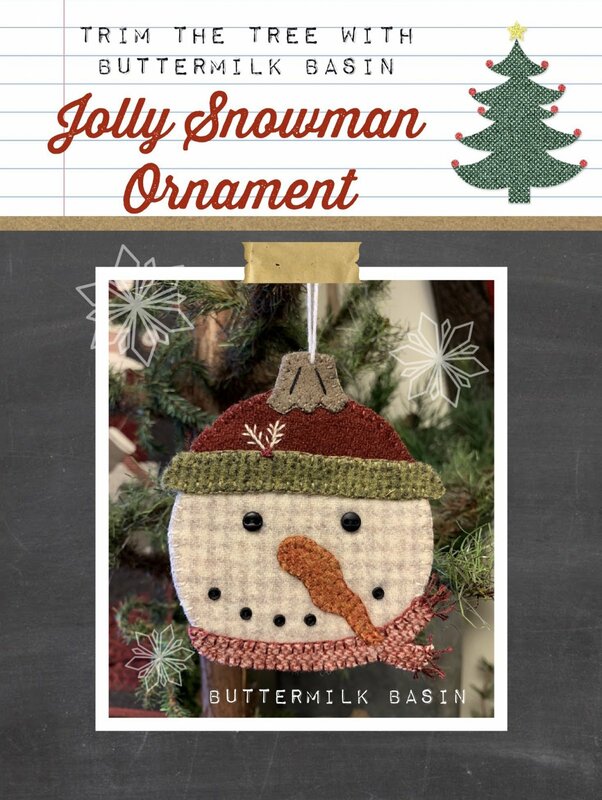 Trim your Christmas tree with this cute snowman ornament! 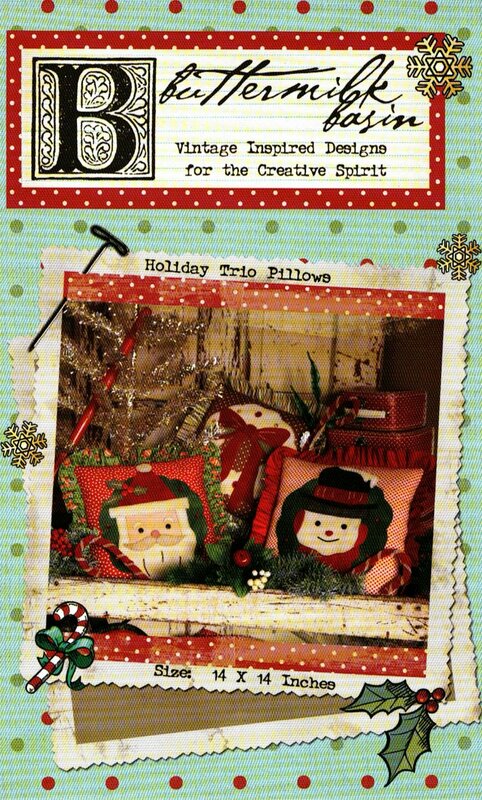 It is wool applique and the kit includes the pattern, wool, buttons and string! It measures 4" x 4.5". It's that time of year! 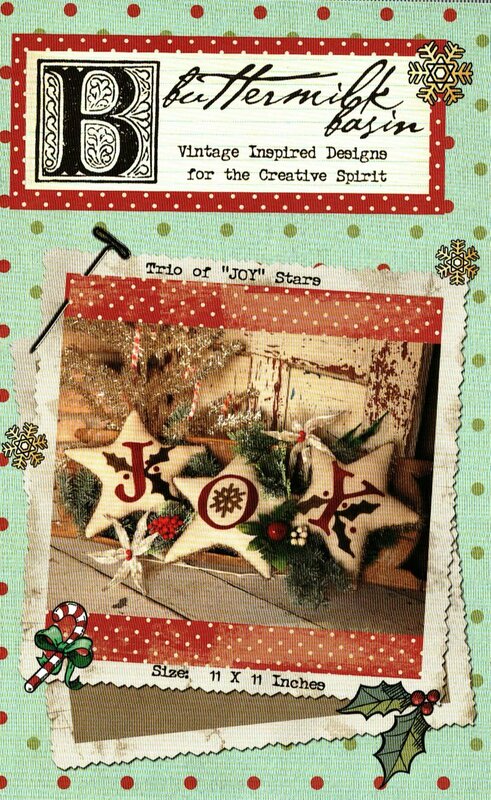 Here is our annual "JOY" release! 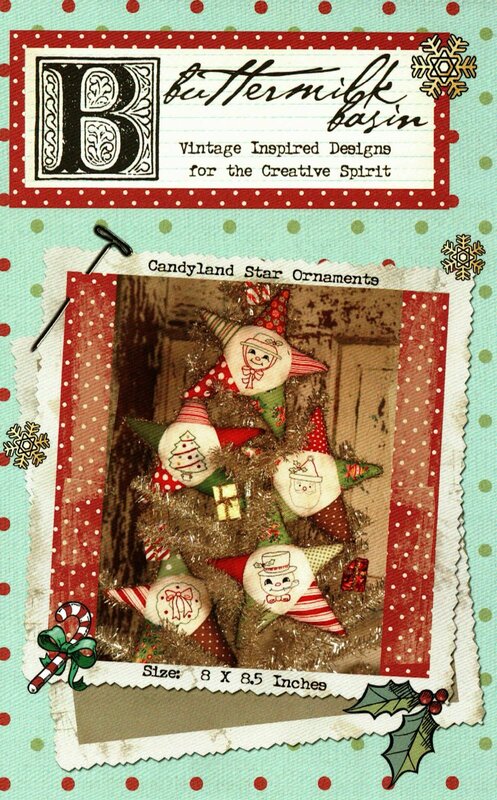 This one features Jolly Ol' Santa himself! HO HO HO! Kit includes toweling, pattern & wool. Size: 16 X 36 inches. 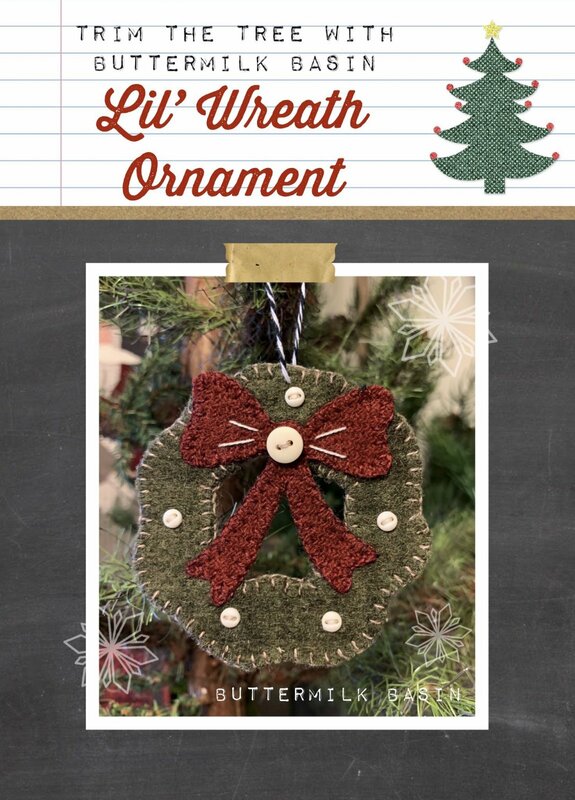 Trim your Christmas tree with this lovely wreath ornament! 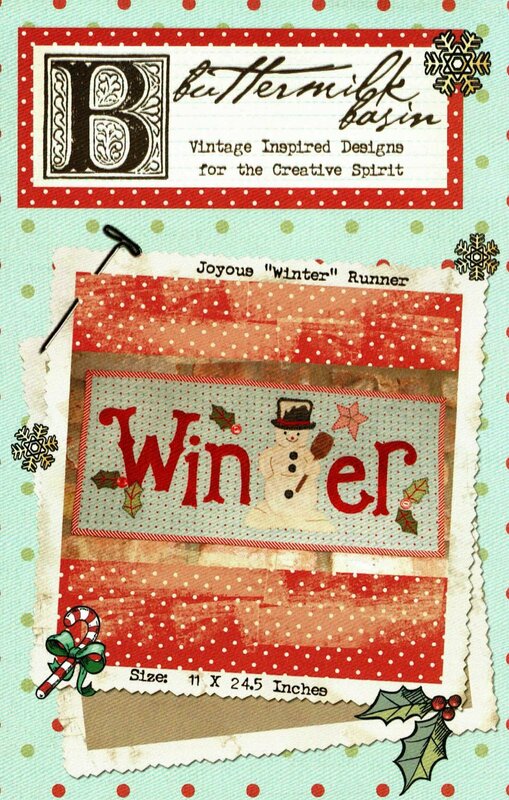 It is wool applique and the kit includes the pattern, wool, buttons and string! It measures 3 1/4" round". 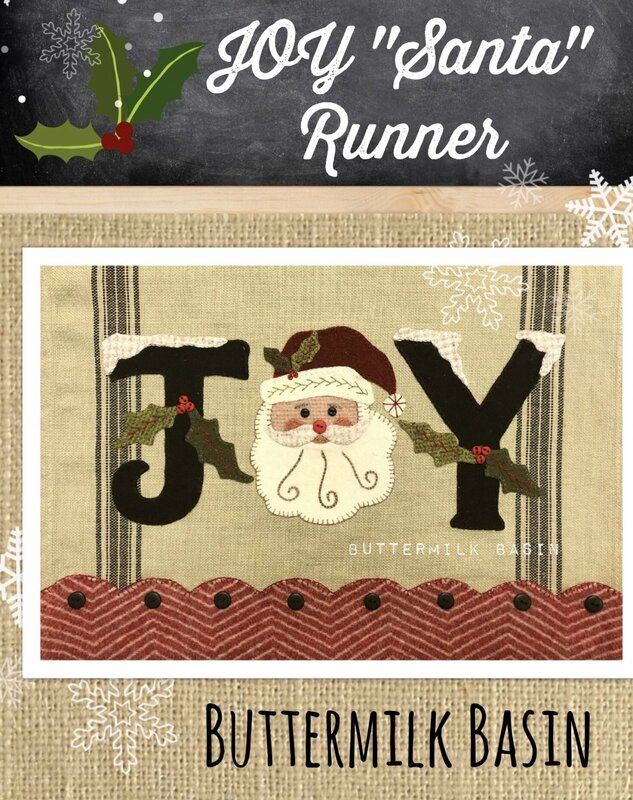 This Holiday mat includes a few of Santa's favorite things! 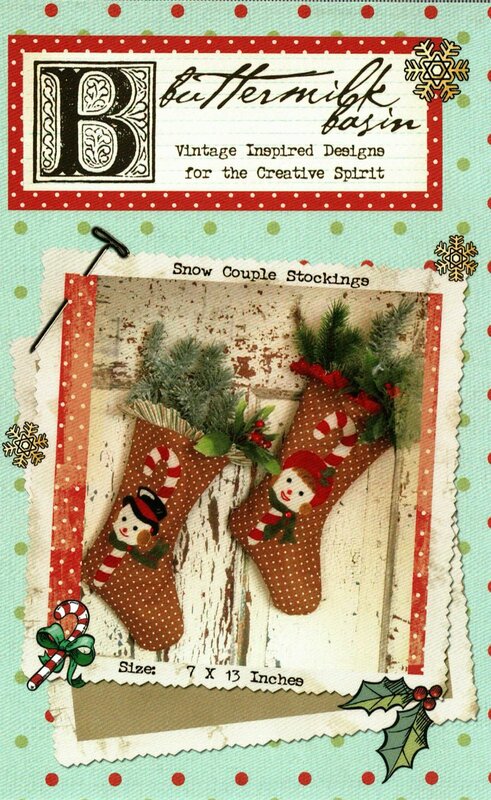 It wouldn't be complete if there was no stocking to stuff!!! Kit includes pattern & wool. Size is 13 inches round. 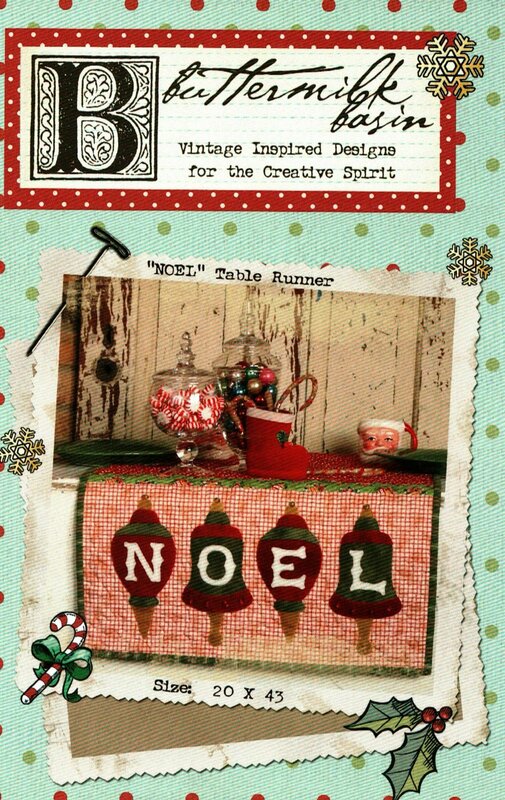 We love this collage of Vintage Christmas goodies! I collect Santa mugs and love bottle brush trees! Add a thermos & it is darling! Kit includes pattern & wool. Size 7 X 12 inside frame. This snowman is ready to join Santa going down the chimney! The ornament is wool applique and is 3" x 5". The kit includes the pattern, wool, buttons and twine. 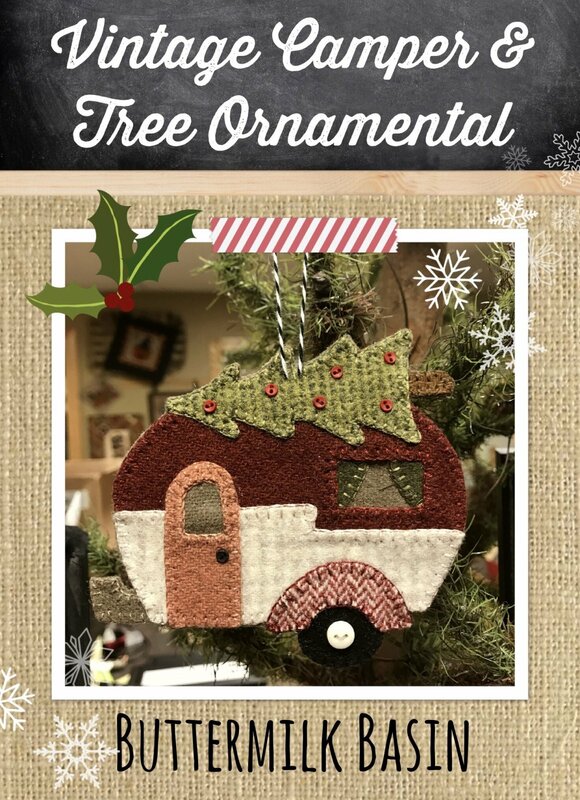 The tree would not be complete without the tree up top a camper! This one is just tooooo cute! Kit includes pattern, wool, buttons & twine. Size: 4 X 5 inches. 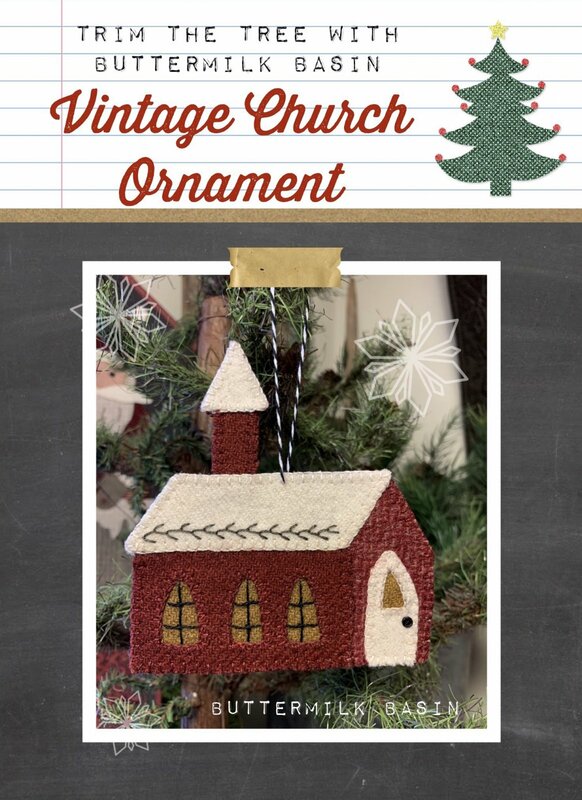 Trim your Christmas tree with this beautiful vintage church ornament! 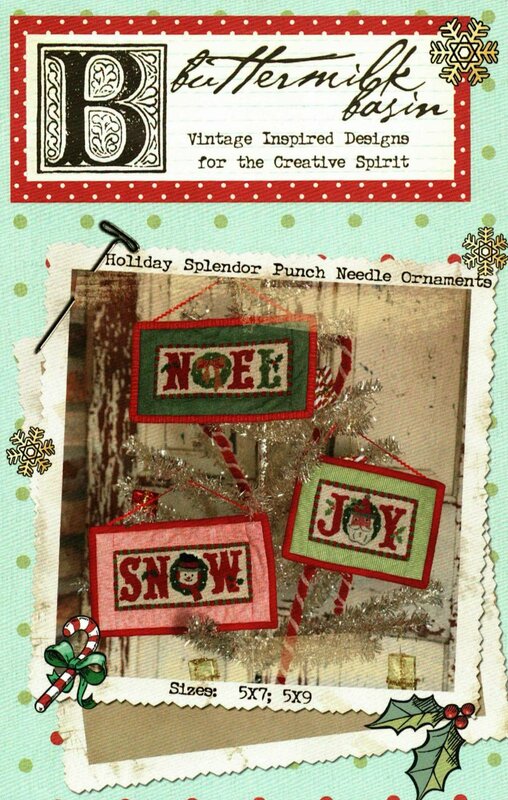 It is wool applique and the kit includes the pattern, wool, buttons and string! It measures 4.5 x 5". 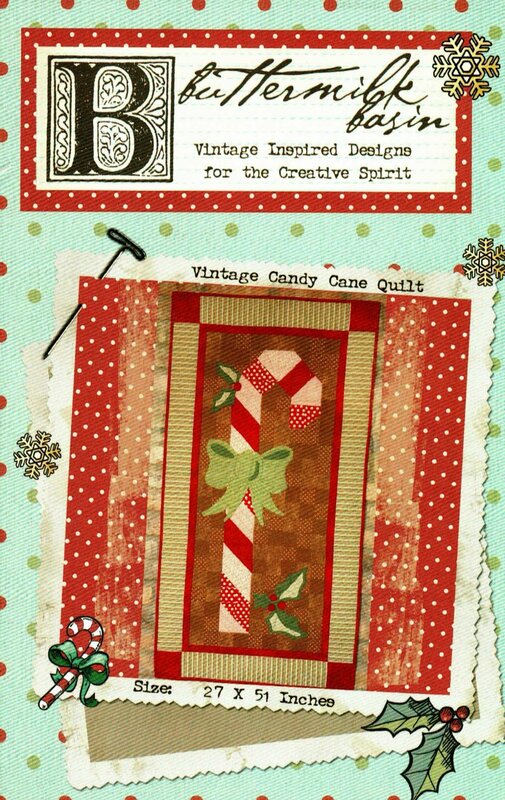 This is one of our FAV redwork designs! 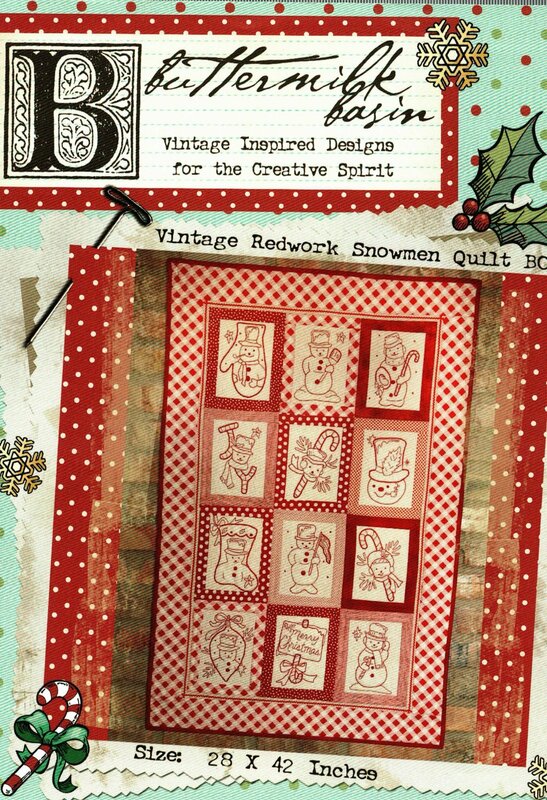 Each motif is centered around a vintage snowman! This could easily be done in traditional colors as well! 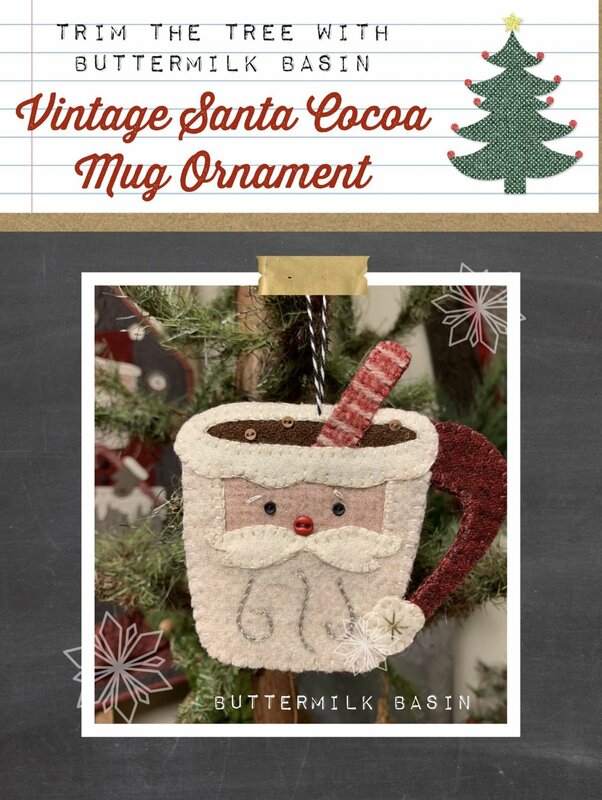 This Santa cocoa mug looks just like the vintage mugs from the past! 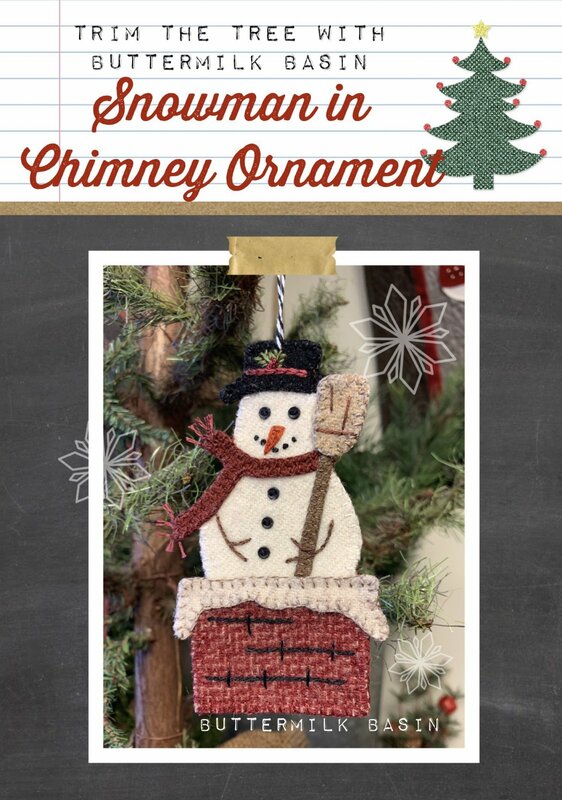 The ornament is wool applique and is 4.5" x 4.5". The kit includes the pattern, wool, buttons and twine. 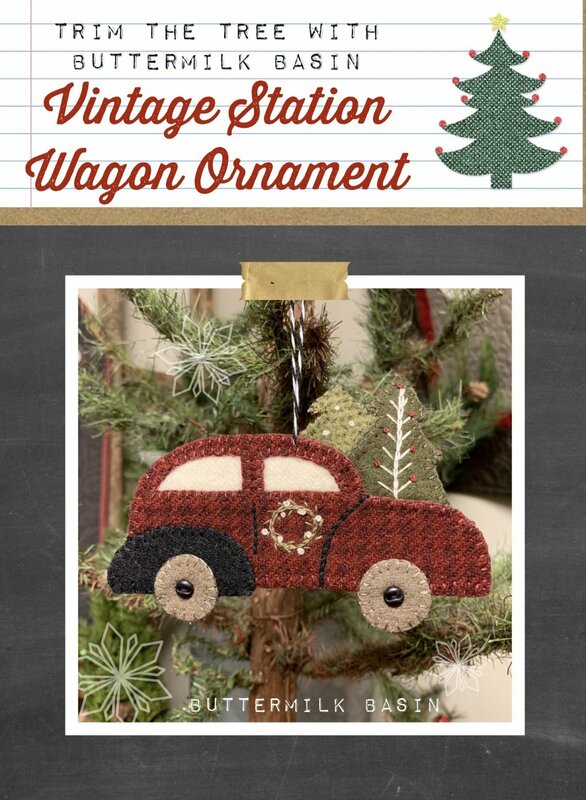 Make this cute station wagon in the forest for your Christmas tree! 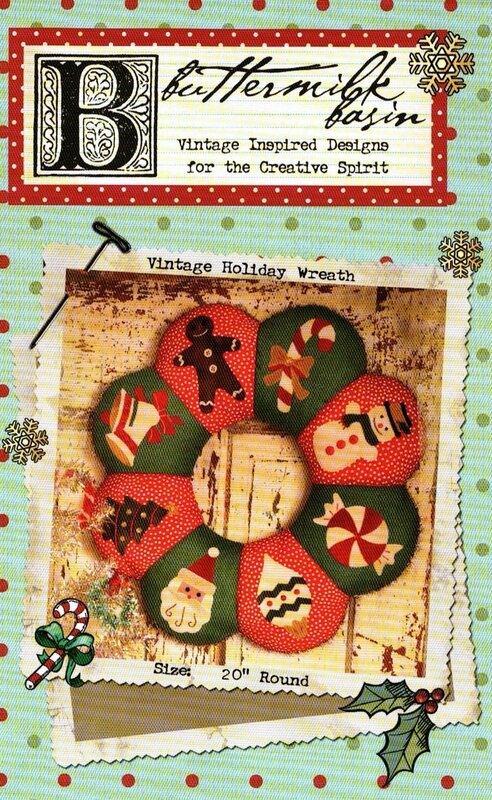 It is a wool applique ornament that is 4" x 5". The kit includes the pattern, wool, buttons and twine.